Most informed politically conservative Jews in America–especially those who cherish the Second Amendment right to keep and bear arms, as I do–know the name, Aaron Zelman. 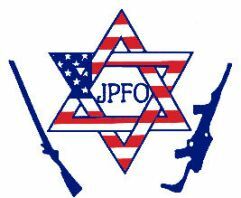 This great American and proud Jew was the founder of and single-handedly ran the JPFO–Jews for the Preservation of Firearms Ownership. Sadly, he died, last week, at age 64. His funeral was Friday. Zelman was the epitome of modern-day American patriot. Zelman was an especially important person for me because he echoed what my late Holocaust survivor grandfather, Isaac Engel, always said and always taught me: the importance of the Second Amendment and of the Jewish defense and exercise thereof. Like all other Jews in Nazi Europe, my grandfather and his family were not allowed to own guns. It eased the way for Nazis to arrest so many of them and ship them off to the death camps. When my grandfather came to America, he said the real “Never Again” and always owned guns. 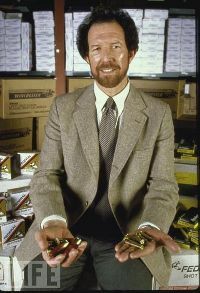 In fact, because it was so hard to acquire a license to conceal and carry a gun to his business, back in those days, my grandfather was always packing one of his guns illegally to, from, and at his business right near Detroit. That he had one on him saved his life on so many occasions. Both he and my late father were members of/donors to JPFO. Aaron Zelman didn’t make a lot of money running JPFO, unlike so many who run conservative non-profits, today, and make millions doing nothing but self-promotion and hype. But he did it out of principle. And his one-man operation had tens of thousands of members. Buy Aaron S. Zelman’s Books & DVDs . . . He is the author of “Death by Gun Control” and a great American that will be sorely missed. One of his great quotes, “”If every German Jew and anti-Nazi had possessed a Mauser rifle, twenty rounds and the will to use it, Adolf Hitler would be a footnote to the history of the Weimar Republic.” — Aaron Zelman, 1995. He was truly a great man, and one hell of a fighter for American liberty. I shall miss him terribly. Yes, he was one of the many unsung American Jews who fight for American liberty and stand up for Jews like me who don’t buy into the liberal crap. Read more about Aaron Zelman from one of his co-authors, Claire Wolfe of Backwoods Home Magazine. Aaron Zelman, Zichrono LiVrachah [Blessed Be His Memory]. I am very sorry to hear about him passing away. I remember first hearing him on the Mark Scott show. He will be missed. I hope that someone will pick up where he left off!! 6 million jews and a million rifles…. think about that.! He will be greatly missed. I have always said that the Holocaust would not have happened had the Jews been armed. In fact, the 1968 riots, which were primarily a pogrom against Jewish businesses, would not have happened had each store owner owned a gun and use it. A Jew without a gun is a slaughter waiting to happen. Thanks for the heads-up about Aaron Zelman’s novels. I’ll check them out. Israel is a country of “Jews with guns” ready to defend themselves. Maybe that’s one reason they’re hated so. Jon, I am in complete agreement. The Holocaust would never have happened if Jews weren’t so completely defenseless, waiting to be picked off for slaughter. Bullies and tyrants do not respect the weak – they fear only the strong. I’m saddened to hear of Aaron Zelman’s passing. Zivchrono Livrachah. His memory will be for a blessing. We’re reminded in our short existence in this world, freedom always comes with the price of being willing to defend it. That’s one truth that will never change as long as this world lasts. Based on their history, I can’t understand why Jewish people would support gun control. It’s been said that the difference between a free person and slave is the right to own a weapon. Thank you Debbie for making mention of the passing of this important man Aaron Zelman. My heart and prayers go out to his beloved family. His message, and the example he set lives on and may we all honor his memory, courage and steadfast and unwavering example that he set in life, and broadcast for all to consider. I believe I will fast tomorrow in honor of Aaron Zelman, the world has lost a great man. I found him in the nineties and he was a true inspiration. He will be sorely missed. Jon & Norman, the both of you are correct, if the jews in Germany in the 1930s were armed with a fire-arm(s), the holocaust wouldn’t exist and Hitler’s Stormtroopers and SA’s would’ve been shot to death if they wanted to put the jews into concentration camps. I am shocked to learn of Aaron Zelman’s passing. I’ll imediately post a notice on my own web site, OUR ETERNAL STRUGGLE. In doing so, it’s possible I may borrow some of your comments, and if I do, I’ll properly attribute them to you. I am so sorry to receive this sad news. We are on the eve of armed revolt in this country, and we needed him on the side of Liberty. Aaron Zelman, RIP. May his memory be blessed and cherished. We need more men like Zelman. Gun control is always about government keeping firearms out of the hands of people govenment considers “undesirables”, such as ordinary citizens. As for the criminal gangs in places like Chicago, they don’t pay attention to the criminals in government. Over the past few years, I have referred to http://www.jpfo.org and Aaron Zelman quite a few times when submitting comments to various blogs. In the ’90s, I had heard of Aaron via Mark Scott’s radio show and invited him to be the keynote speaker at the Michigan Libertarians Annual Meeting in the Detroit area. It was an honor to have him speak. If I recall correctly, Aaron was a Medic in Vietnam and was a forceful speaker for 2nd Amendment rights. As a Jew, he was very knowledgeable about the Holocaust, Stalin’s purges, Mao’s crimes, etc. and JPFO had books detailing those atrocities. Perhaps in his memory, contact JPFO and order one or two…it’ll open your eyes and those of your friends and relatives. Good Bye, Aaron, you will live-on in my memories of you as an honorable, heroic man. I am so troubled and sorry to hear of Aaron’s passing. I became a member of JPFO in the early nineties, and spoke with Aaron frequently during those years with respect to the campaign to legalize concealed carry in my state. He was always helpful and kind, and went out of his way to be of any assistance. I particularly used his “Gun Control is Racist” writing to help the cause. We have surely lost a champion. May G-d bless and comfort his family and friends. I came across his website several years ago and immediately saw his head was screwed on right. It’s sad that he was not better known among Jews across the US. I’m so very sorry to hear of Mr. Zelman’s passing. He was a tireless supporter of our rights and will be dearly missed. I spoke to Aaron several times in the late 80’s early 90’s..
lives.. Too sad to say that his work may have kept them somewhat apart.. Peace my friend!!!! Sorry for your loss Debbie,a great man indeed,to honor him I will buy some of his books and,may he rest in peace. I found him in the nineties and he was a true inspiration.